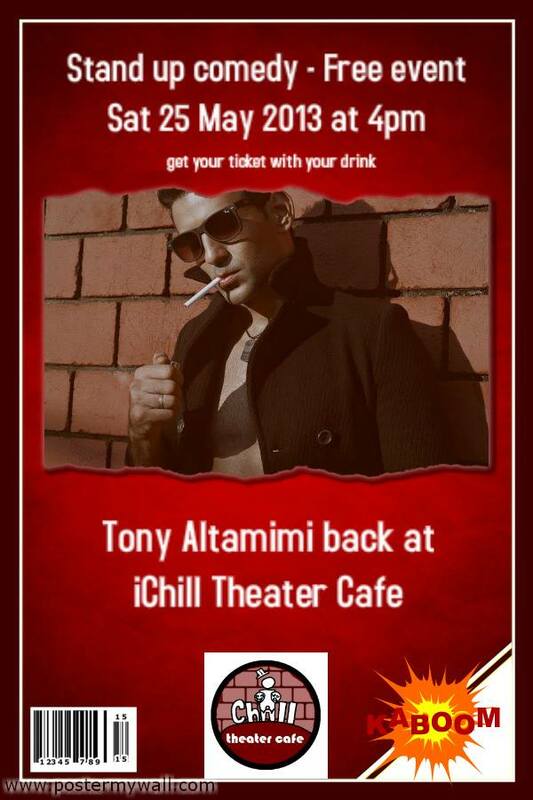 Tony Altamimi, a Jordanian-American model, will perform a stand-up comedy at the iChill Theater Cafe on May 25, 2013 at 4pm. He will also give us a glimpse of his personal life and ideas. iChill Theater Cafe is located at 1125 Dos Castillas St., Sampaloc, Manila (behind McDonald's Lacson). Ticket is FREE with your drink before the show.